Top 10 Haircare Products for Bleached / Pastel / Mermaid / Unicorn hair! 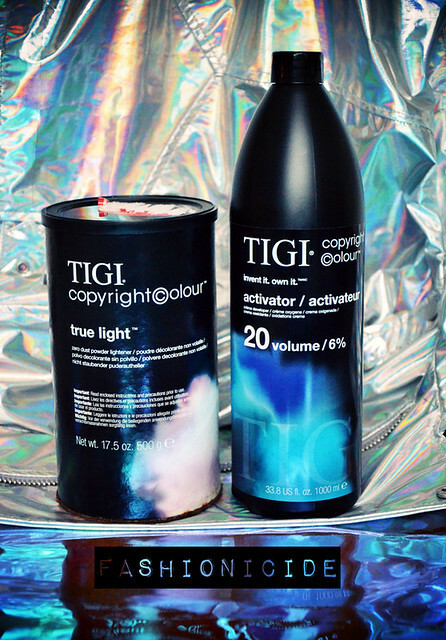 A few weeks back I posted a review of Tigi's Copyright Colour bleach, revealing just how incredible a job it does of bleaching the hair yet still leaving it in good condition. The thing is, you can never be complacent with hair, particularly when it has been bleached. So I feel it only right that I look after my lovely readers by treating them to a mammoth post on haircare! My fellow pastel princesses, mermaidians, unicornians and bleached bombshells will understand the struggle and the pain of bleached, damaged, brittle hair! 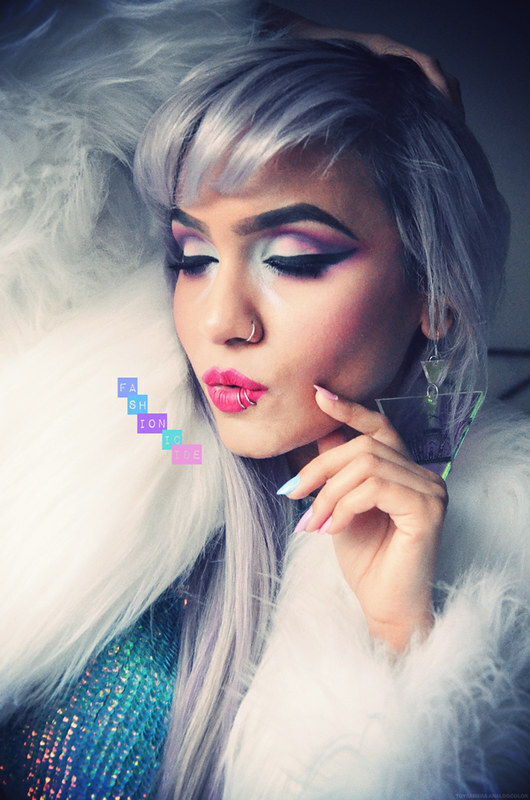 The photos may look all glam, and beautiful and effortless, but ladies: THE STRUGGLE IS REAL. I hope you’ve all had a great first month of 2015 and haven’t broken too many of your New Year’s Resolutions already! 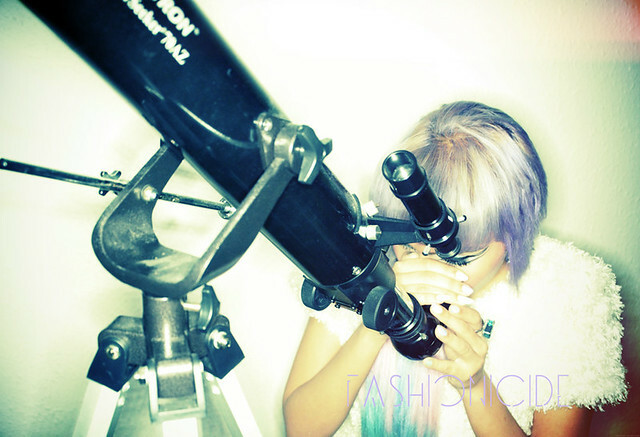 Speaking of firsts though, this is the first OOTD on Fashionicide of 2015! It's been quite a while since I've done an OOTD so I'd almost forgotten how to behave in front of the camera. I’ve also had a little bit of a mini-revamp on the blog this month, changing the look and feel of the site to match my current tastes – so we’re talking pastels, sleek, retro-futurist and easy on the eyes! The fur bomber in the photo is an absolute beaut isn’t she? Still photographs just don’t do it justice at all, it’s almost as if it’s alive, particularly when the wind brushes past and you can see the individual strands flowing! I won it on Christmas Eve as part of a competition from White Dirt, a retailer specialising in Independent Fashion labels based in Colchester, and I have to say it certainly made my Christmas! To the haters, with love. Now here's a topic to set your heart racing! As the online world grows, the haters grow with it. The cyberworld we all live in has made it much easier for haters to not only exist, but also offers them a platform to vent their hatred and make an impact on the lives of their intended victims. It goes without saying that it takes far less courage to hurl insults from behind the security blanket of a screen than direct to someone's face. 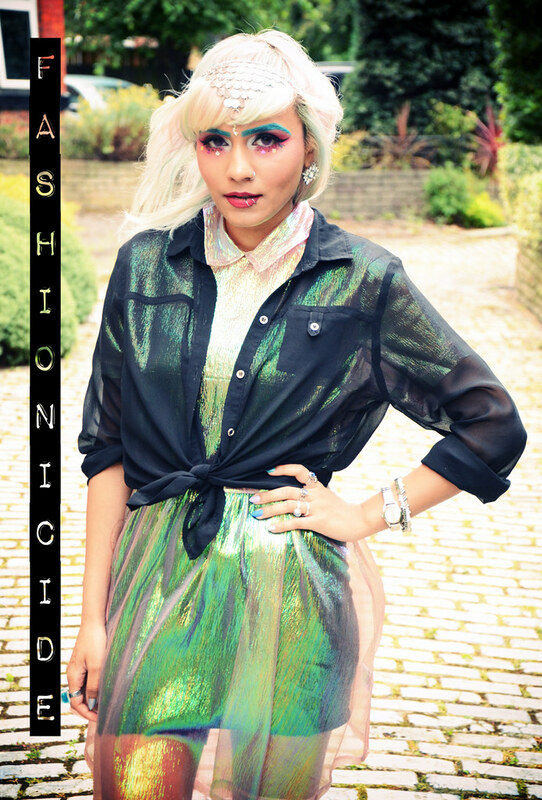 The Sheer Celestial Iridescent Dress and Hello 2015! I always find it odd how we celebrate the clock striking the twelfth hour of the 365th (or 366th) day of every year, when Time is an invention all of our own. An interesting thing about time the OH told me, less than seven days a year last exactly 24 hours. The rest of the year it takes earth between 30 seconds less and 30 seconds longer to rotate on its own axis. Well now the boring stuff is over with, I must confess to getting swept up in the whirlwind of OMG NEW YEAR! Bloody Happy New Year!